Canaries make colorful additions to any household. 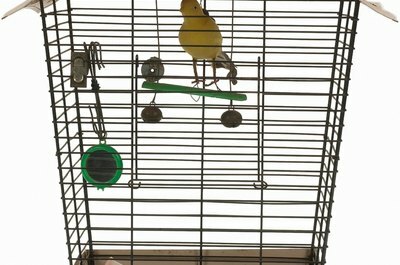 Canaries are little candy-colored birds hailing from the Canary Islands that are easy on the eye, uniquely interactive and very simple to keep as pets. Understanding what makes them happy and healthy will be the first step towards a rewarding, fun relationship with these fine feathered friends. There are dozens of different shades of canaries, with more hybrids created every day. The original canary was a dull greenish-gray little bird that evolved into its signature yellow hue after years of selective breeding. The red canary, called a red-factor, is the hybrid result of a canary and a red finch. Many blends of canary colors fall between this yellow-red spectrum. Although these tweety birds have been bred more for color than song, the male can carry a nice tune and you might choose a pet canary based on his singing skills rather than good looks alone. Canaries can be kept in a large rectangular cage or, if you've got the room, a large bird enclosure called an aviary. 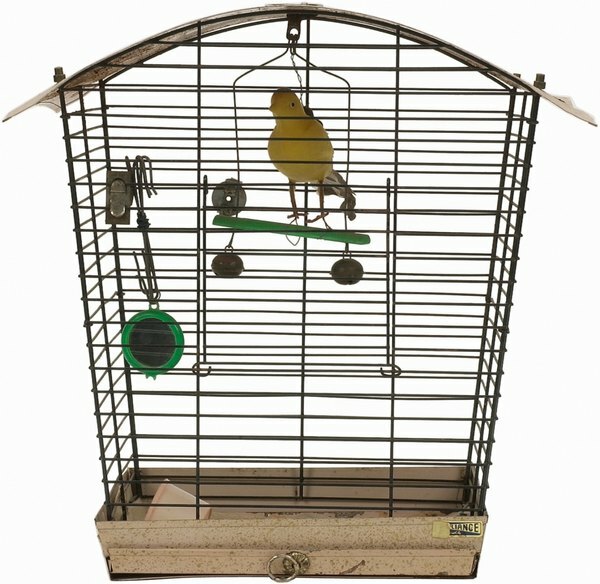 Several perches should be placed at opposite ends of this cage to encourage flight and should be made of natural wood to better simulate the bird’s natural environment. Pet canaries are not dirty birds and require an appropriately sized bath tub filled daily with cool clean water. Many of these active birds enjoy swinging when they are singing, so place one or two on the cage’s perimeter, keeping the center open for perch-to-perch flight. Canaries are not as crazy about toys as parakeets, but they do have their play toy moments, so give it a go and change the toys often as these birds bore easily. Canaries need and enjoy leafy green and orange vegetables, like spinach, peas, carrots and broccoli, every day. Along with the vegetables, feed your birdie a quality commercial canary mixed seed feed or a nutritious multi-food pellet blend, available at better pet food stores. Small portions of fresh fruit are a nice treat, and always provide him with fresh, clean water. When you bring your new canary home, set up an appointment with a nearby avian veterinarian for a checkup, and return each year to ensure his good health and prevent common illnesses. Like most birds, canaries tend to hide signs of illness and may appear sick only when they are very ill. It is critical that you avoid a “wait and see” approach, which we often take with our cats and dogs, and contact your avian veterinarian immediately if your bird looks unwell.